Hope you guys are feeling well, despite a turn in the weather recently. 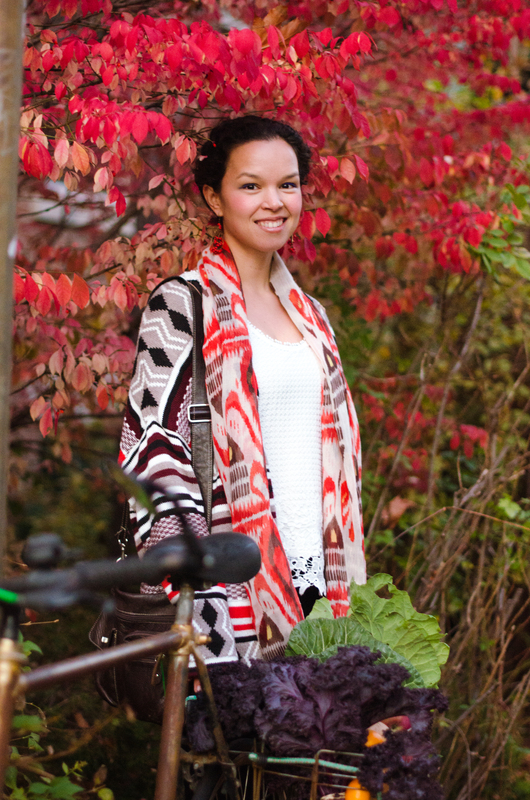 Fall is definately here and as long as the temperatures don’t drop too much, we can enjoy the beauty of leaves changing colour. 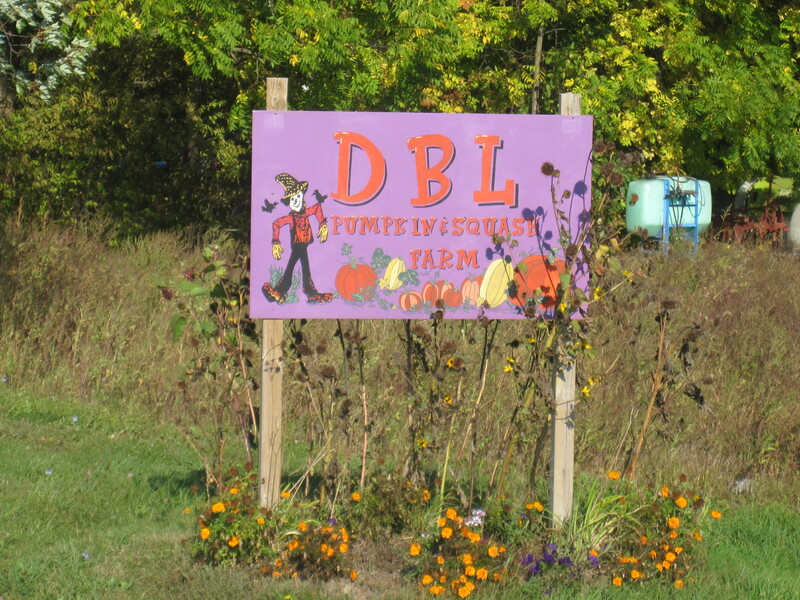 I had a chance to meet the owners of the DBL pumpkin and squash farm this past weekend and their amazing 18 acres of pumpkin and squash. 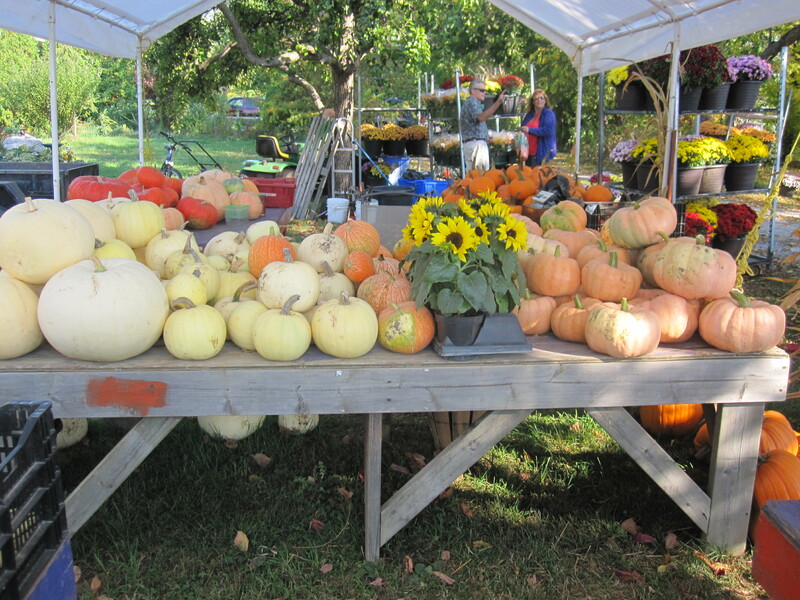 They grow their squash in Niagara-on-the-Lake and have been doing so for eight years. 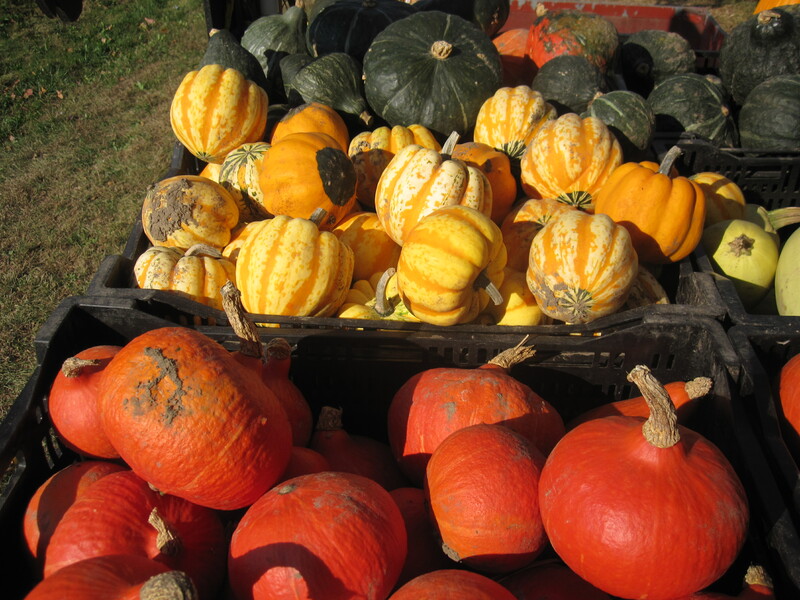 They decided to grow squash to break the mold from growing fruits, and growing grapes for wine, as do many of the farmers in Niagara-on-the-Lake. 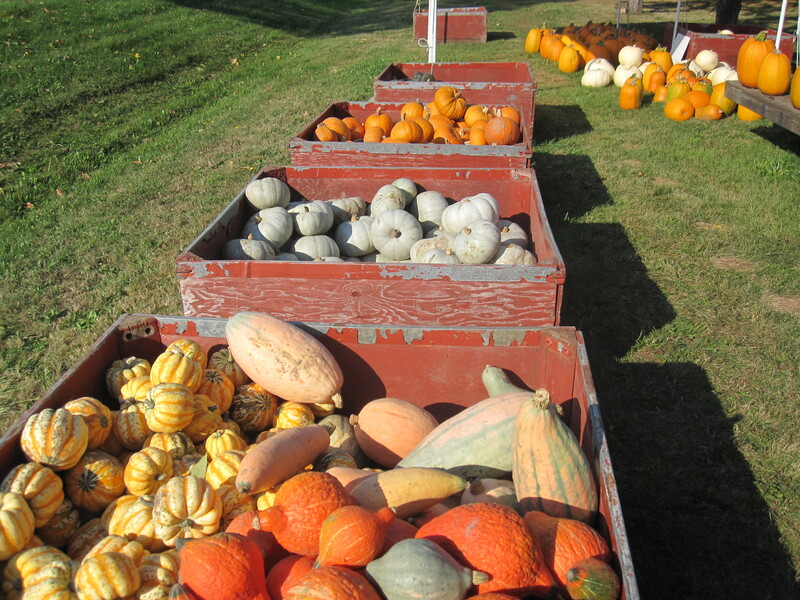 They grow 14 varieties of pumpkin and 13 varieties of squash. 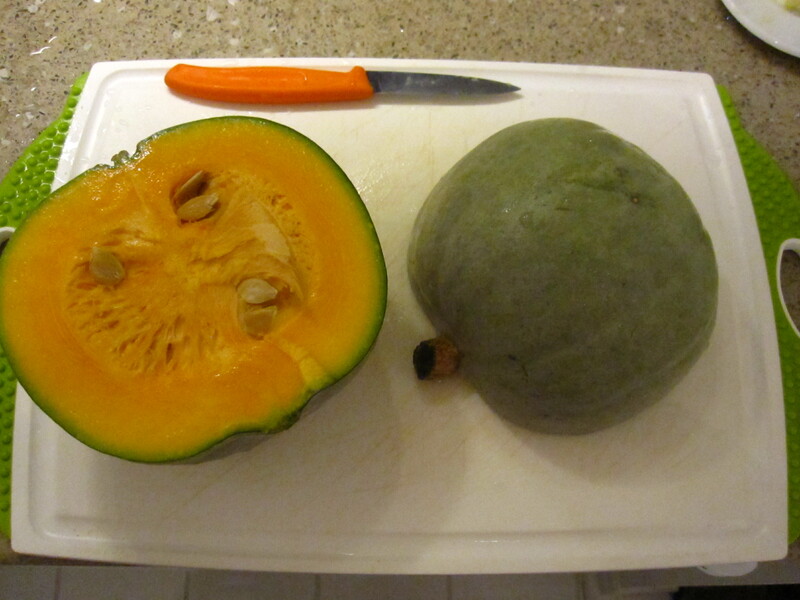 This squash variety has a very unique blue colour to it and the flesh is very light orange, almost like a canteloupe. 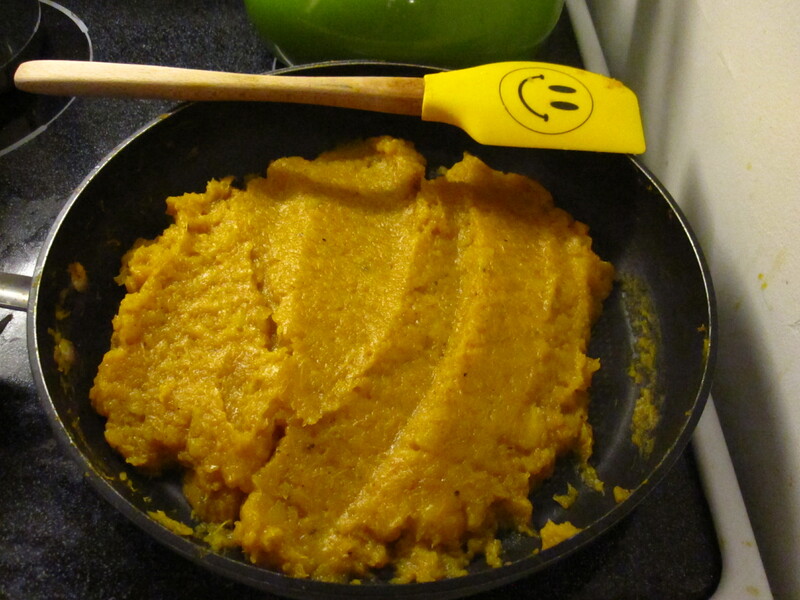 The squash is fairly sweet and once cooked, created a very smooth purée (and does not have stringy flesh like with regular pie pumpkins). 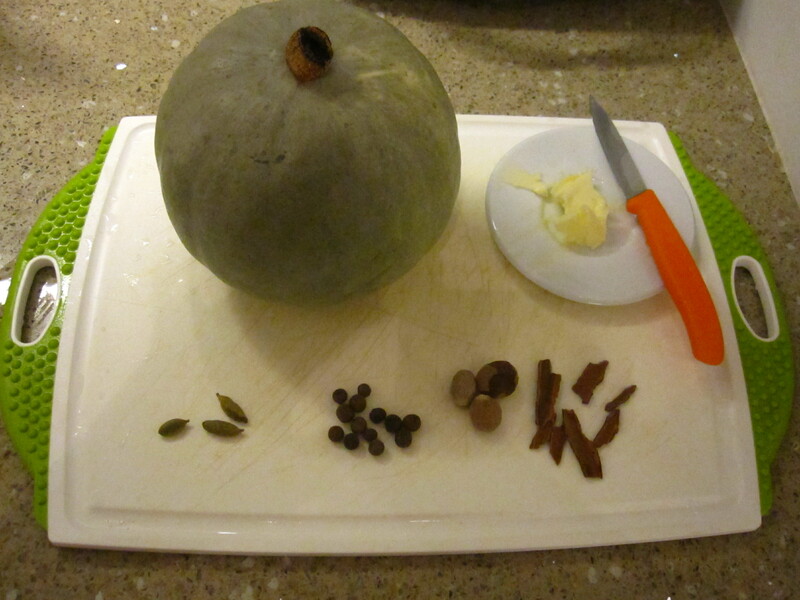 I made my pumpkin puree with cardamom, all spice, nutmeg and cinnamon. 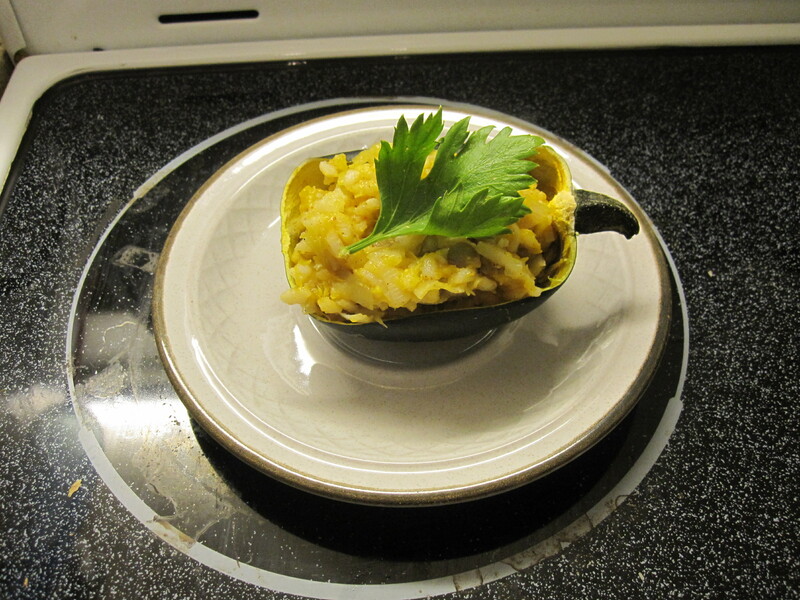 I made it into a delicious squash puree that I used as a base for a risotto, which had lentils, leeks and red chillis (all stuffed into an African gem squash skin that I also got from DBL pumpkin and squash). 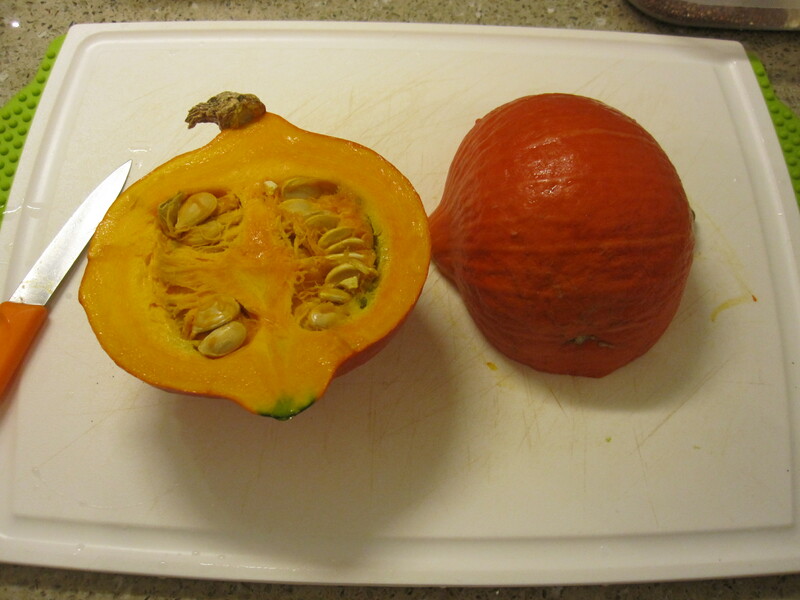 This squash is a very bright orange/red squash with a very unique texture. 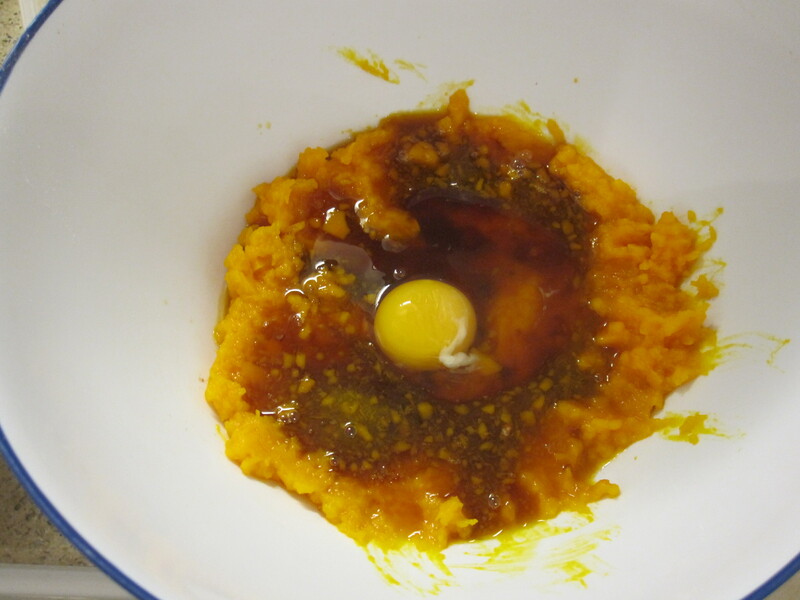 When I made it into a puree for a muffin recipe I tried, the puree reminded me of sweet potatoes in its colour and texture. 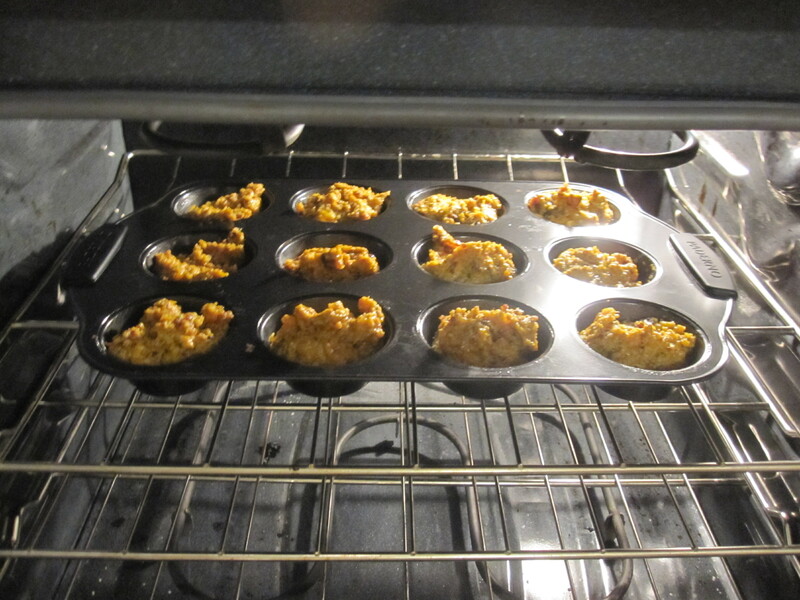 The muffins I made were Pumpkin Quinoa Muffins from Hummusapien. 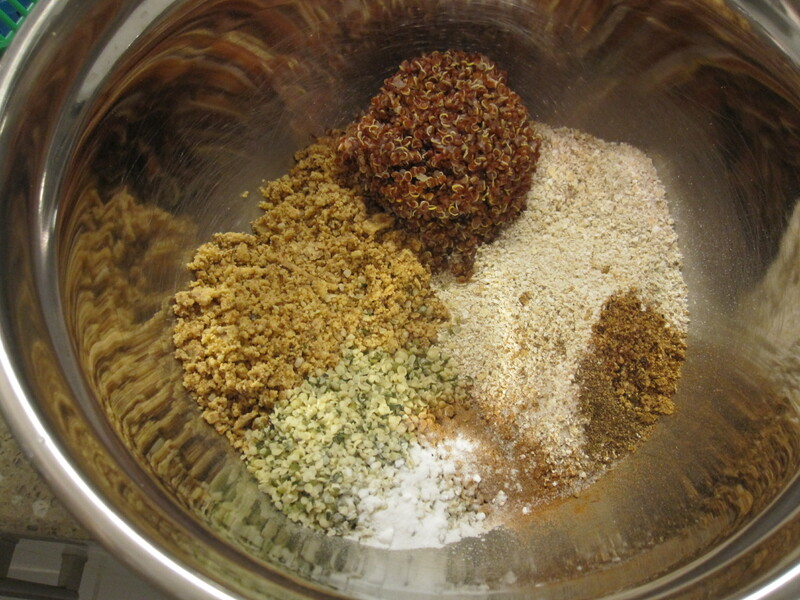 The only thing I added was a 1/3 cup of chopped dates to the mixture to add a little bit of extra sweetness. The muffins turned out well. 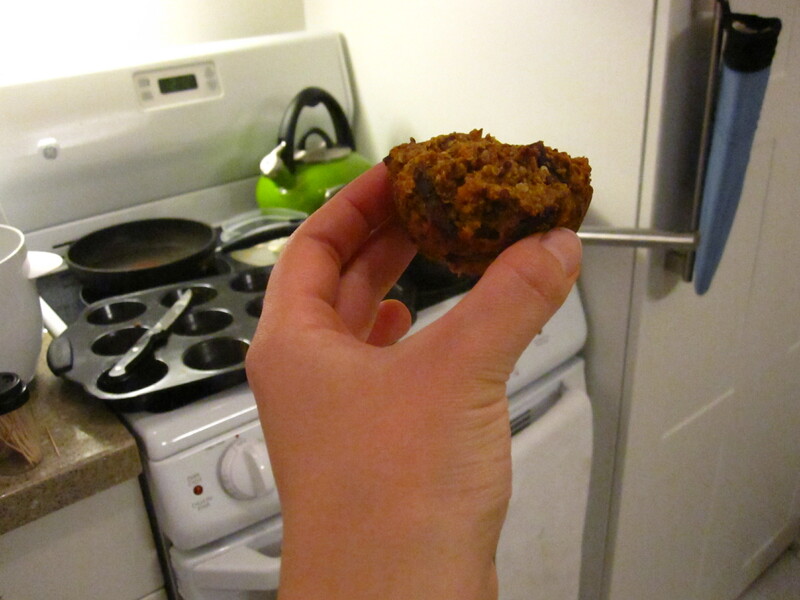 I kept them out on the counter for one day and stored them in the fridge for 3 days before they were gone :)…. oops! 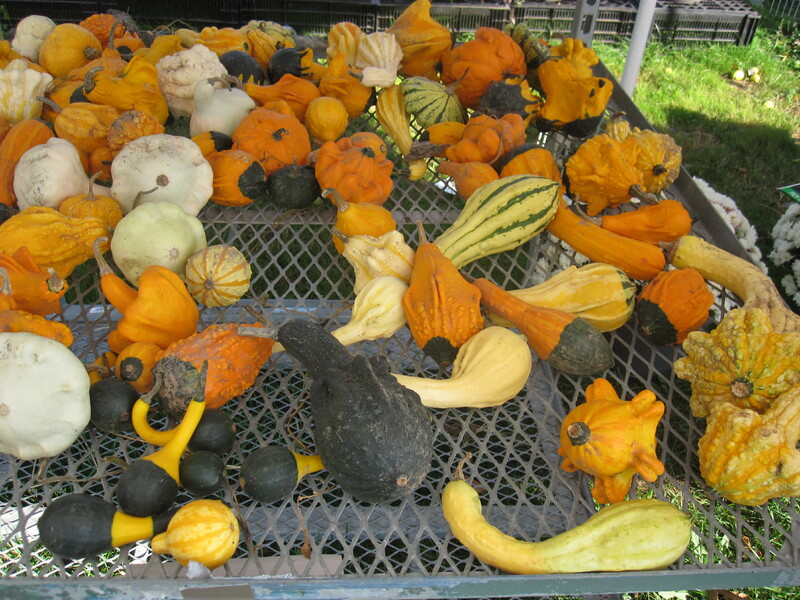 These tiny squash are the size of a large apple but they are definately unique. 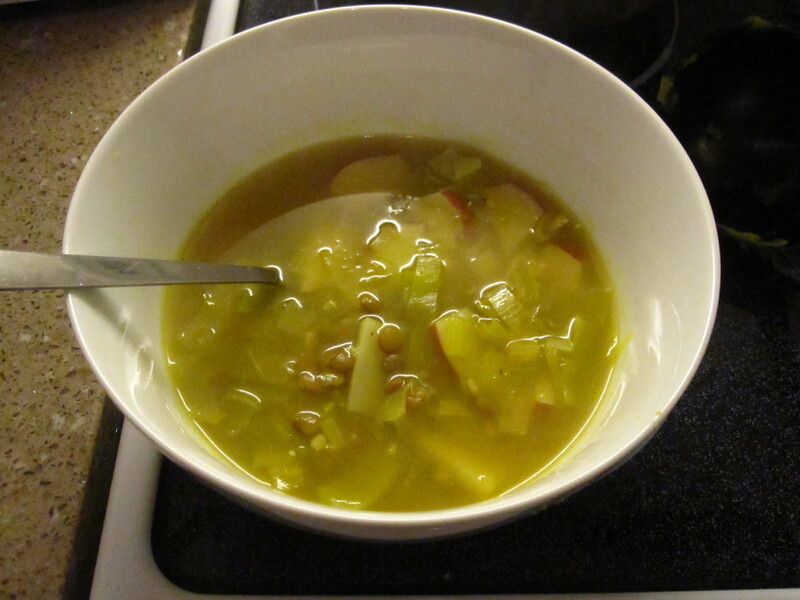 Their flesh is not too sweet, but I found it gave a great flavour to the lentil, potato and leek soup I made. 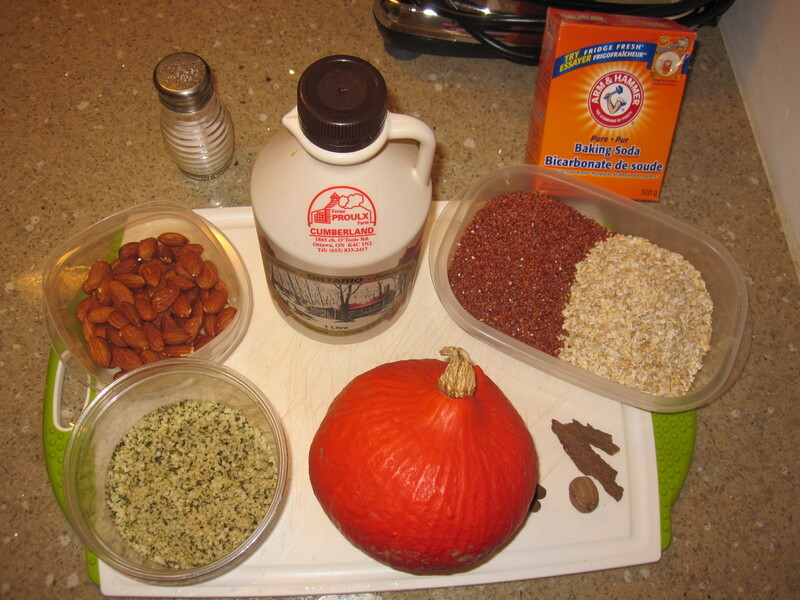 It acts as a thickener for the soup, making it taste like a rich hearty stew! 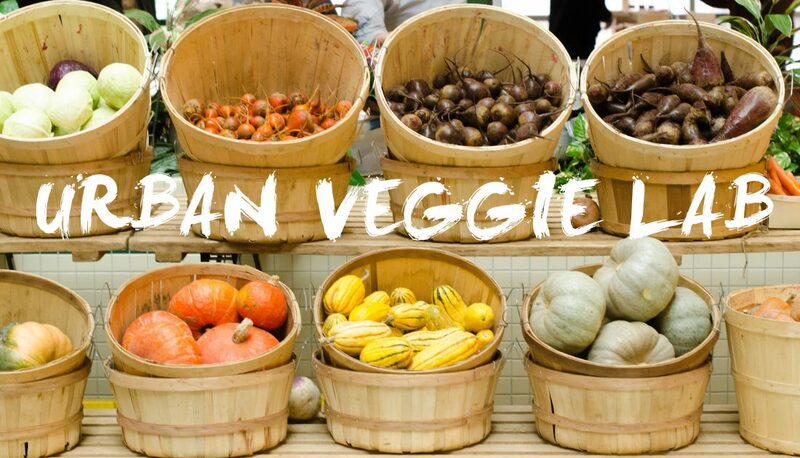 Directions: Wash and chop all veggies. 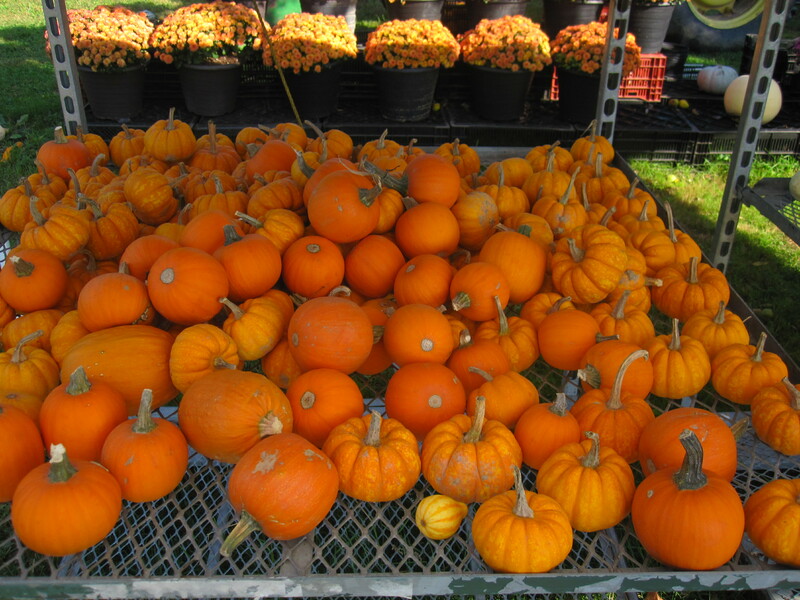 Slice gem squash in halves. 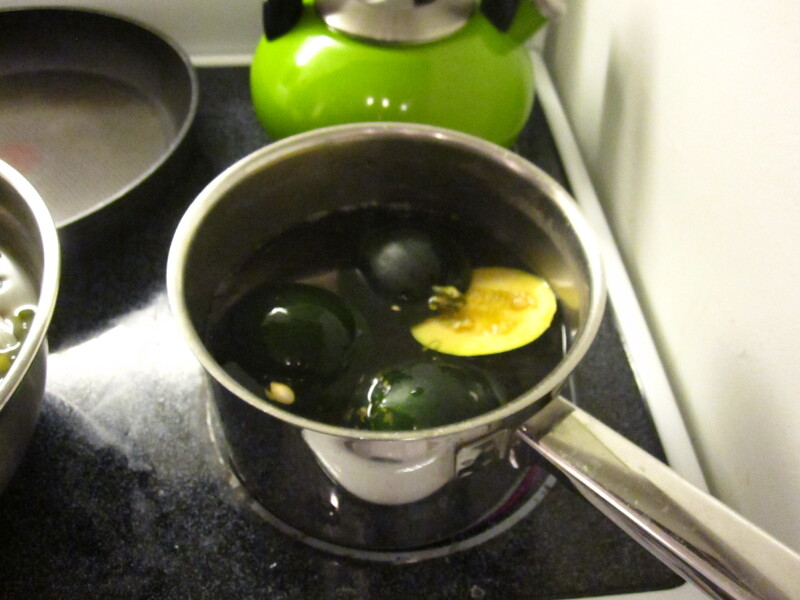 Boil the gem squash in salted water for 15 minutes. 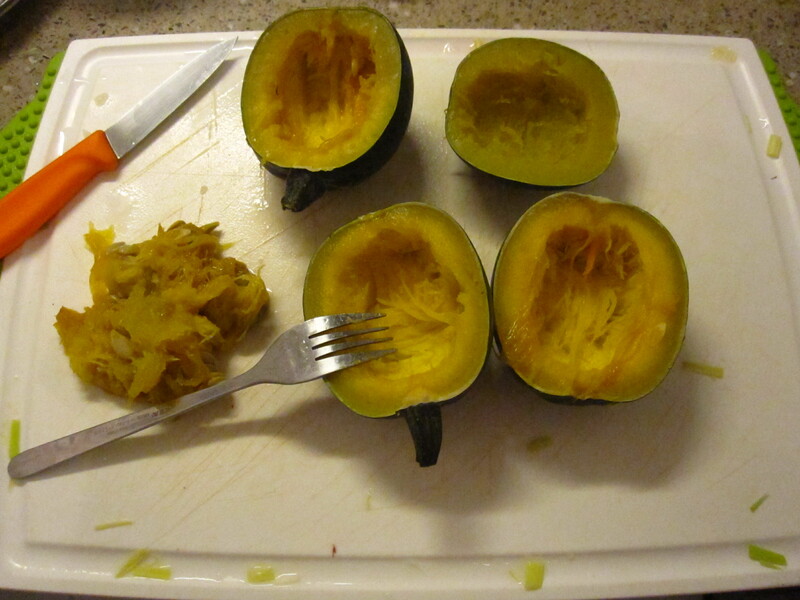 Scoop out the seeds of the squash and scoop out the flesh to be added to the soup later. 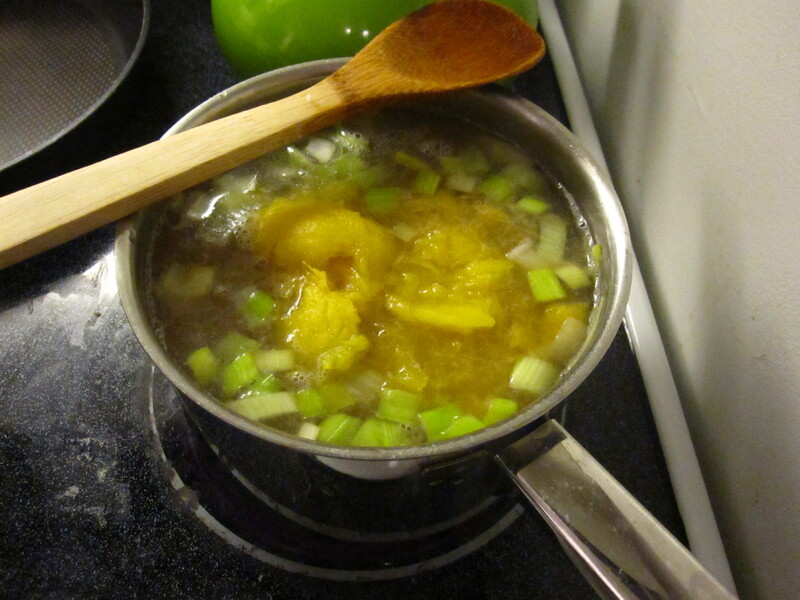 To the pan, add the butter and oil and fry the leeks until translucent. 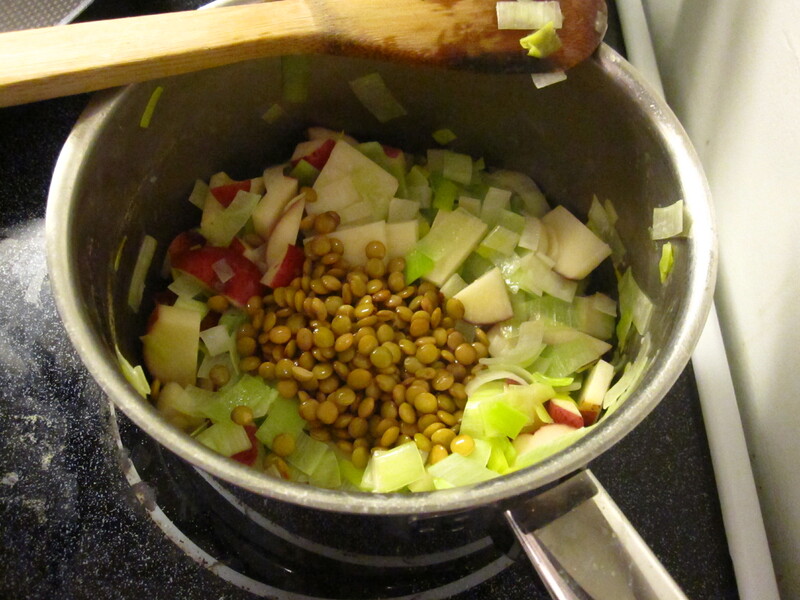 Add the chopped potatoes and lentils. 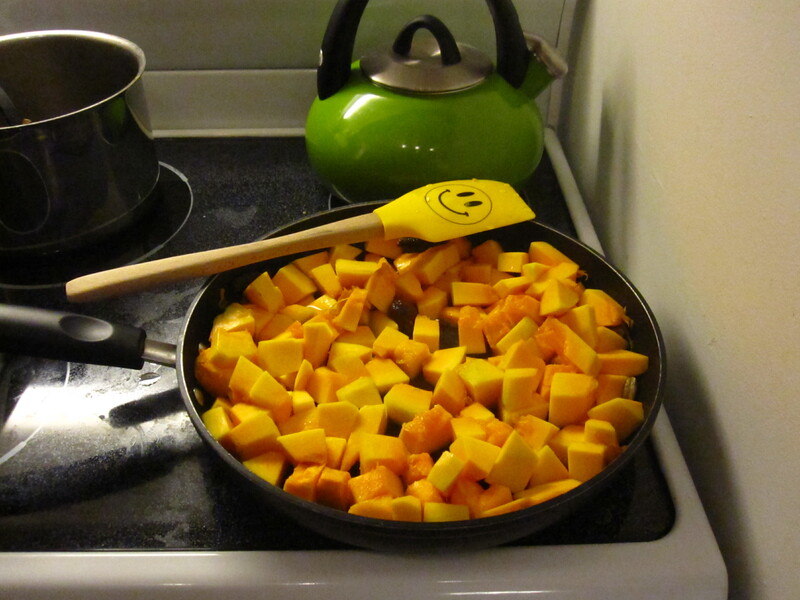 Add the vegetable stock and the flesh from the gem squash and bring to a boil. 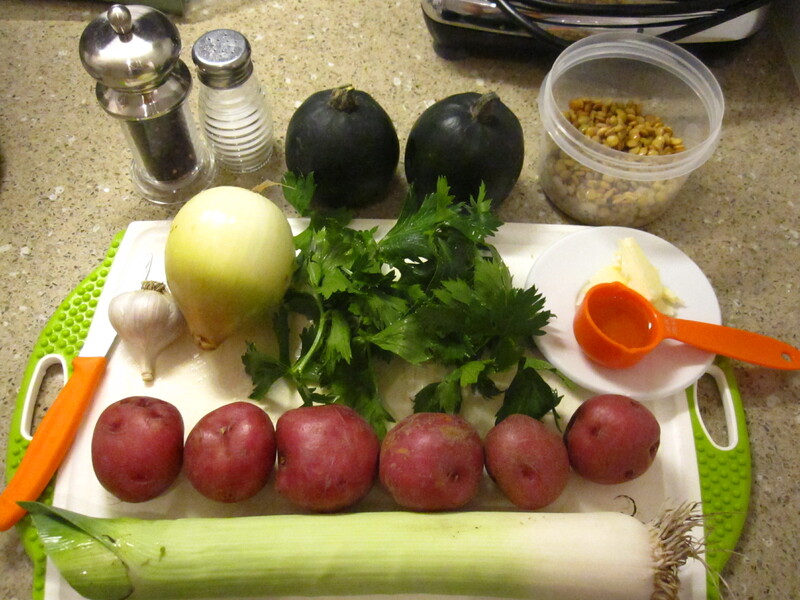 Reduce heat and let simmer until the potatoes are done. 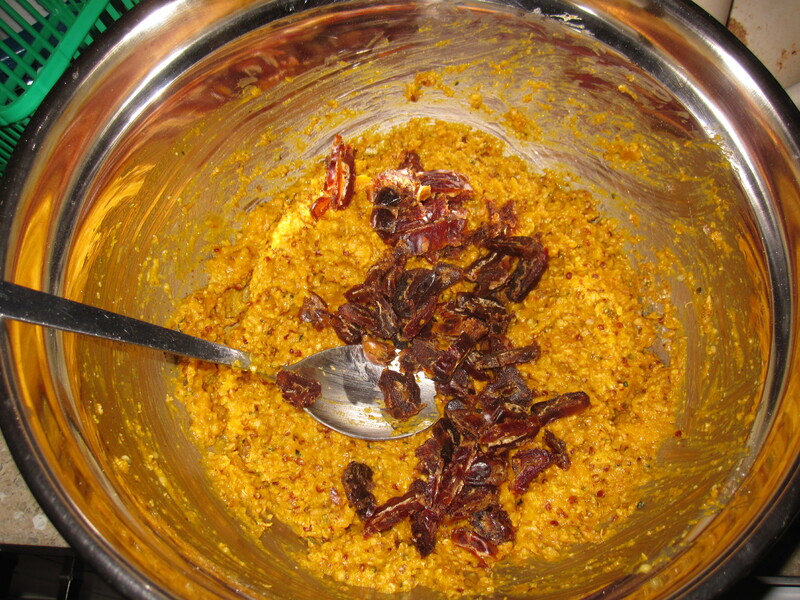 Season to your liking, I used tumeric and cayenne as well as salt and pepper to flavour and colour my soup.